WHAT IS TACKING AND JIBING? WHY DO YOU NEED TO TACK? WHY DO YOU NEED TO JIBE? Harnessing the power of the wind is a wonderful feeling, but it does mean one thing: You’ll have to obey the rules of the wind. When your destination is near where the wind is coming from, you can’t just sail directly there. Learning how to tack and jibe is one of the first steps you’ll need to take if you want to start sailing. While tacking and jibing themselves are simple concepts, there are some important things you need to think about. A good tack means knowing why, when and how you’ll be tacking. 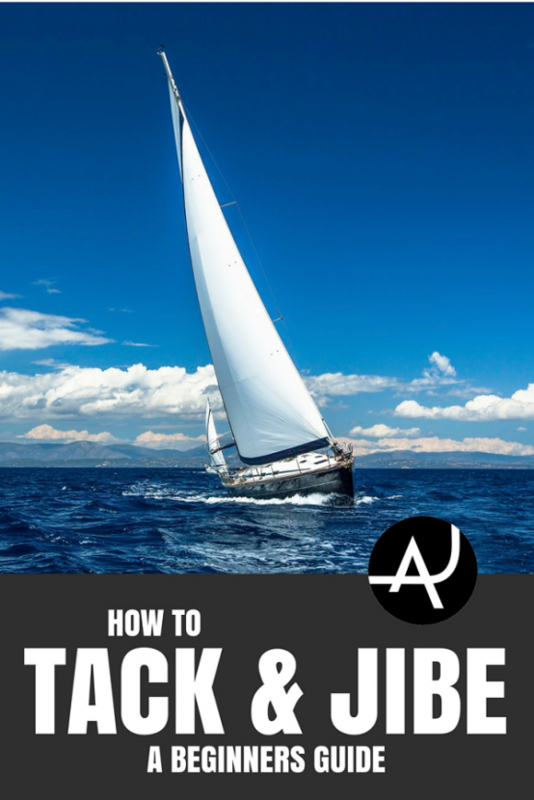 Read our simple steps and learn how to tack and jibe. Tacking means turning the boat through the eye of the wind (the direction the wind is coming from) and catching it on the other side. Since the sails catch the wind from the head, tacking offers a lot of control and can be performed with ease. Jibing (or gybing) means you are turning the boat downwind from one side of dead downwind (the direction the wind is going) to the other. The wind is coming from behind the sails and boom, so it can catch the mainsail and hurl it from one side of the boat to the other. This means it must be performed carefully and is fundamentally less controlled than tacking. Unlike going into the wind, you can actually sail dead downwind but only with a specific sail plan. Often, your sails will require you to jibe downwind. Knowing your points of sail and what they mean is a great way to start learning how to sail. Since you can’t sail directly into the wind, you must tack up into it if that’s your destination. 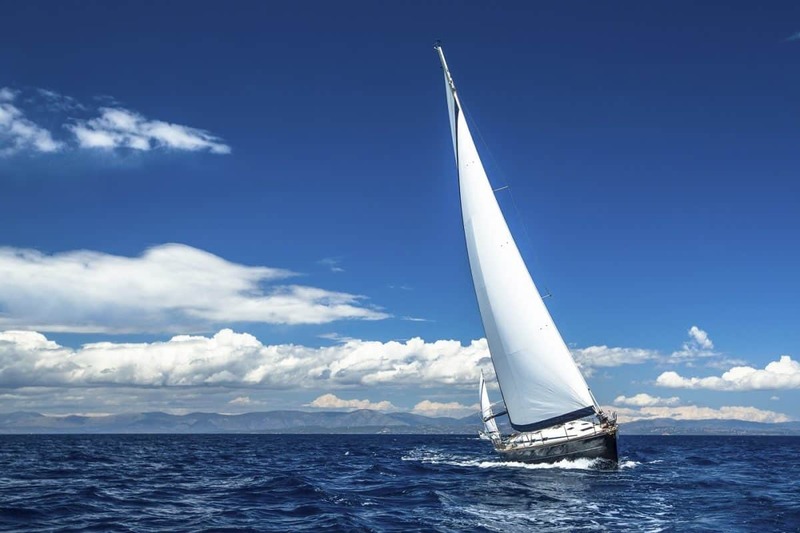 Sailing requires catching the wind in the sails to power them up and move forward. That means that the sails must be at an angle to the wind. The angle depends on the direction you want to travel in, relative to the wind. You can only sail directly downwind with a spinnaker or twin headsails. 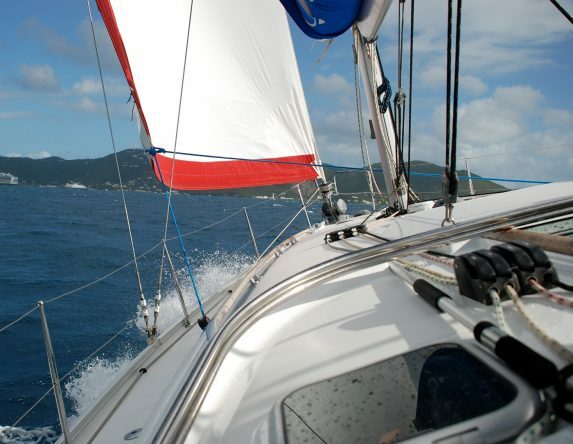 Other sails like cruising chutes allow you to sail almost dead downwind. However, many sailors don’t want to buy or change extra sails. So, they stick with a jib/genoa and a mainsail for all wind directions. Jibing is usually performed when you want to sail dead downwind or near enough. You can jibe downwind so that you are zigzagging down along the wind’s path just like when you tack you’ll be zigzagging up towards the wind. Knowing exactly when to tack will depend on where you’re going and the type of sailing you’re doing. In a race, tacking too early or too late could lose you the medals! Generally speaking, you want to stay as close to the direct path to your destination as possible. This means that you’d tack fairly regularly. However, you also need to remember that tacking makes you lose speed for a minute or two. So, you don’t want to tack all the time. In a narrow channel when you must go upwind, you’ll be short-tacking. This is where you tack very regularly. Possibly even every couple of minutes! As jibing is less controlled, some sailors avoid it as much as possible. If you’re not in a rush, you can technically tack instead and turn the boat in an almost full circle. If you’re in very strong winds, it can be preferable to tack. However, a controlled jibe is always possible. Similar with tacking, you’ll need to jibe when you’ve gone as far as you want off your direct line and plan to take another zigzag back over it. Tacking is simple although the technicalities will vary from boat to boat. For a cruising yacht, the helmsman will pull in the mainsheet in as tight as it can be without causing the boat speed to drop off. The helmsman will then shout, “ready about!” or a previously agreed upon phrase. This alerts the crew that the boat is going to tack. Note that many modern yachts have a self-tacking foresail. This means that nothing needs to be done with it as it will simply tack itself when the boat tacks. The crew member controlling the foresail will wait until the helmsman has turned the boat into the wind and out the other side before easing the foresail that will already be trying to tack itself. The same crew member or another one will pull in on the foresail’s opposite line as the first line is completely released. Once the boat is pointing in its new direction, the helmsman will ease out the mainsheet and the crew will winch in the foresail. The faster you tack, the less speed you will lose! Jibing is less forgiving than tacking. While tacking does not require the mainsheet to be in tight, jibing does. The first step is for the helmsman to pull in the mainsheet so it is as tight as possible. This prevents the wind from whipping it from one side to the other. The second step is for the crew on the foresail to sheet in. This stops the wind from pushing the foresail around the front of the forestay. When these steps are complete, the helmsman can steer the boat to its new position. 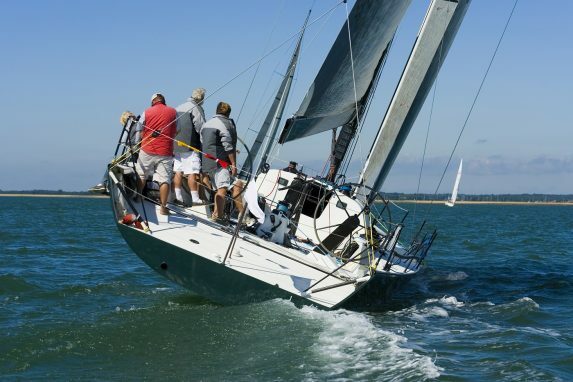 The boom will be pushed over by the wind as far as the mainsheet allows and can be then let out as far as needed. This needs to happen fairly speedily to prevent the wind catching it and slamming it the other way especially in swells. The foresail can also be let out to its appropriate level. Crash jibing is the reason why some sailors dislike jibing. It occurs when the wind, coming from behind, catches the boom on the wrong side and slams it from one side of the boat to the other. Not only can this send the boat lurching over and breaking the boom, it can also catch crew members unaware, knocking or even killing them. Crash jibing usually doesn’t occur while jibing. Rather, it occurs when the boat jibes itself. This can happen when sailing very close to the jibing point if the wind changes while using auto-pilot or when waves unbalance the sails and boom. Crash jibing can be avoided by using a rope to tie the boom to a cleat or using several other safety methods. While jibing can (and should) be done slowly and with you in control, tacking too slowly won’t work. Since sailing directly into the wind kills your speed, the helmsman should complete the turn through the wind fairly quickly and let out the main straight away. It’s also crucial to have enough boat speed going into the tack. Otherwise, you may not make it through at all! If you require extra boat speed, the helmsman can change course away from the wind slightly before the tack, increasing the power of the sails. When the speed is enough, they can then tack successfully. A tack with minimum lost speed is a racing tack and quite a skill to hone. Occasionally, you may need to suddenly alter course in a way that results in a tack. This might happen if you see something in the water or discover yourself on an immediate collision course. The main consideration in an emergency tack is that nobody is in the way of the boom. 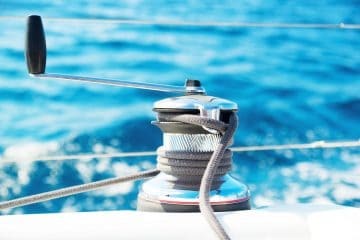 While far more controlled than a jibe, if you must tack before you can pull the mainsheet in, then shouting a boom warning to crew is the first step. The sails come second to the safety of the boat and crew. 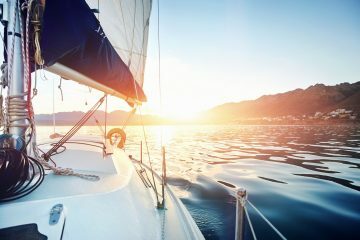 The most dangerous things in either sailing maneuver are the boom, the changing angle of the boat and lazy sheets whipping as the sails lose power and flap. Many have gone overboard due to a flicking line! For a successful maneuver, the crew must be informed of what if going to happen. This will likely take the risk out of these dangers and make for a fast tack or a safe jibe.